Bifold windows can double as a fantastic servery or bar coming off a kitchen. Image by Stegbar. Bifold (or bi-fold) windows are windows that are made up of a number of individual sashes (i.e. framed, windowed panels) that are hinged together. Most bifold windows consist of either 2, 3 or 4 window sashes - although they can include more if necessary. A bifold window can be opened up in a concertina style to make a large, uninterrupted opening, with the individual window panels stacking neatly against each other at the side of the window frame.. The concertina-style design helps to minimise the amount of clearance required to open and close the window. How are bifold windows normally used? Because they allow for large, wide-open apertures, bifold windows provide excellent ventilation. Their versatility makes them ideal for allowing controlled amounts of airflow through a house when it's needed. They're also a great way to make the most of a scenic outlook or panoramic vista, and can help to blur the lines between your indoor and outdoor living areas. 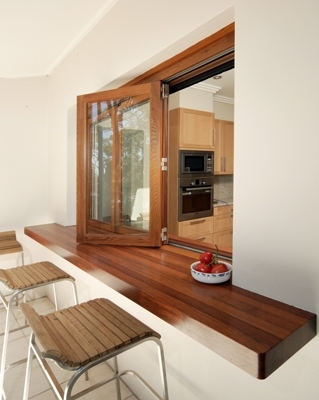 Bifold windows are often also installed as servery windows off kitchens, using an oversized sill as a kind of bench. This is particularly useful if you plan on having an outdoor dining or barbecue setup, or using them to create an outdoor bar area. Bifold windows can also be used indoors, and are useful if you're interested in keeping an eye on what's happening in one part of the house without wanting sound to carry through. How are bifold windows installed? These windows can be hinged to either side of the frame, and in conventional installs they're supported by rollers running across heavy duty rails along the bottom of the window frame, which allow the windows to be smoothly opened and closed. Another rail at the top of the window frame is also used to help guide the window sashes. In some cases, windows that are being used as a servery will do away with the bottom rail altogether though, and have the weight of the windows supported entirely by the top rail. This makes for a nice flat bench surface - although it may cost a bit more. For security, bifold windows typically use both flush bolts (accessible from the edges of the window panels) and mortice locks either at the top of the window, the bottom of the window or both. Depending on how many sashes your bifold windows use, you may need to install locks at various points along your windows to ensure that they're secure. Some bifold windows also allow for special roll-out insect screens to be installed too - something you'll be grateful for if the mosquitoes or sandflies are on the bite. There are various options when it comes to hinges too - most either use a single 'piano' style hinge that runs the full length of the join between two sashes, or several individual hinges spaced across the join (depending on the size of the window). Having a window that opens up wide to allow for serious ventilation might be great in summer, but the same window can cause big problems in winter if it's not designed to seal up tightly or offer adequate insulation. Good weather sealing around the window sashes is particularly important for bifold windows, to prevent draughts and reduce the amount of air infiltration that's allowed. There are various different types of seals that can be used - although the best bifold windows normally feature double seals to completely prevent airflow. Window glass is the natural enemy of climate control in a house - and because bifold windows normally involve a few panes of glass, it's well worth considering just how much heat they'll let in or out. Double or triple glazed panes (referred to as IGUs or Insulated Glazed Units) are more expensive than standard single glazed windows, but they do an excellent job of insulating against both heat and sound. You may also want to consider low-e glass - or window film as a cheaper alternative, depending on your needs. Window frames can also be problematic. Bifold window sashes are available in a wide variety of materials, each of which conducts heat differently. Metal frames are an excellent conductor, and will therefore let plenty of heat through - which is normally not ideal. 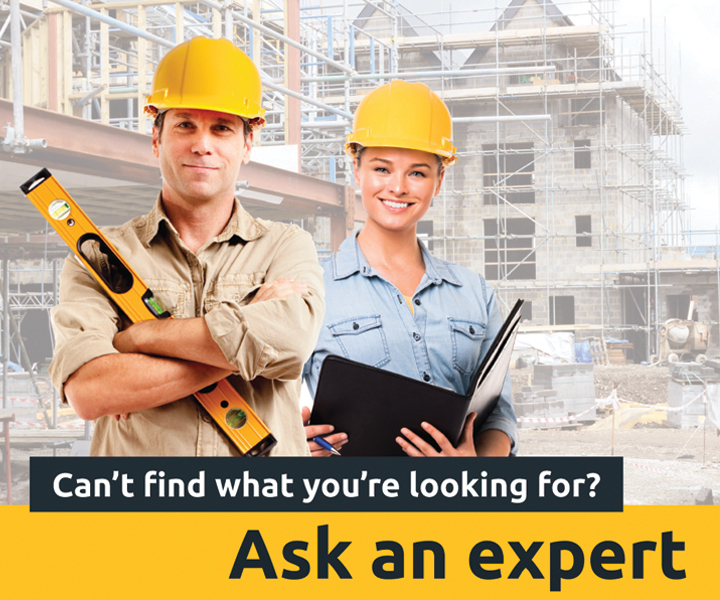 Timber, PVC and fibreglass sashes normally do a far better job of insulating your home.